An immersive installation inspired by the history of the site of the Camden People's Theatre. It involved five hundred found objects, suspended, whitened, and scattered across the space. Suspended, as if in water. Whitened, as if petrified over time, washed-out by age, by use, by neglect, by forgetting. Colourless litter, archaeological remains, a constellation of accumulated history. 'Hauntingly beautiful and calm ... visually arresting'. Where the Camden People’s Theatre now stands, there used to be, for centuries, a reservoir surrounded by a grove of tall trees. In the 18th Century, people would travel here, out of London, to take the waters, and enjoy a stroll in the famous tea gardens, which belonged to the Adam and Eve tavern. This was situated roughly where the Sainsbury’s Local is now, just across the road. The Adam and Eve stood upon ground once occupied by a medieval palace and then a large manor house. The tavern went through different phases of respectability. At one time it boasted a skittle alley and an organ, as well as a small menagerie of animals (long before the establishment of the Zoological Gardens), including a monkey, a heron, some parrots and other wild birds as well as a small pond for goldfish. However, over time it seems to have become a haven for petty crime, where prostitutes, pickpockets and highwaymen would gather, and it was subsequently closed down in the early 19th Century. 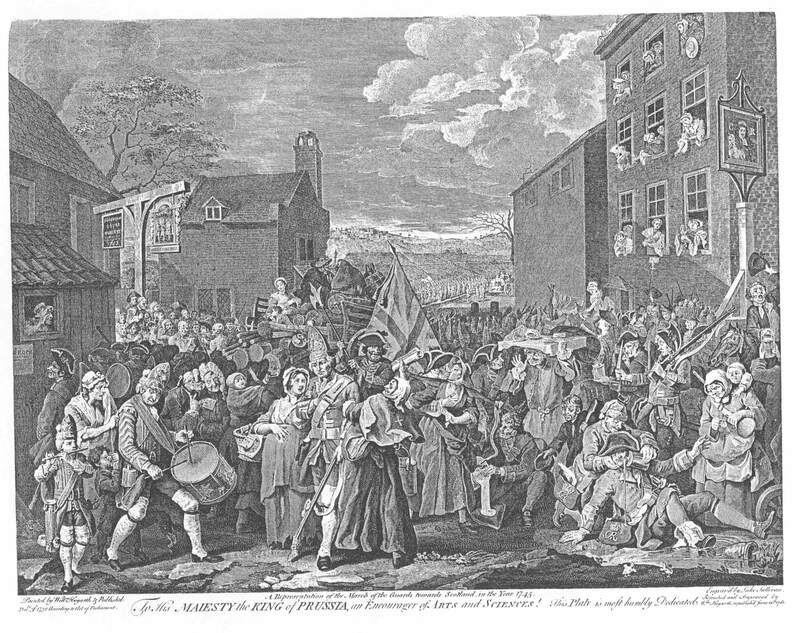 Hogarth represented the Adam and Eve in his 1750 engraving ‘The March to Finchley’, which depicts British troops being marched out to Finchley in December 1745 to defend the city against the threat of a Jacobite invasion. On the signboard of one of the houses in the picture is inscribed ‘Tottenham Court Nursery’, which alludes to Broughton’s Amphitheatre of Boxing which was also located there, the first bare-knuckle boxing school in the country. In 1860, the reservoir was filled in and the site was developed to become Tolmers Square. Here, a congregational church, a gothic-style building with a tall spire, was founded in 1863. The same year, the first underground line in the world was opened in London and ran under this site. Above and below, the area surrounding the theatre became an increasingly busy and polluted thoroughfare. In 1924, the Tolmers Square church was converted into a cinema, which became rather run-down and seedy before it closed in 1972. Today Tolmers Square has all but disappeared and the area continues to be developed. The Sol’s Arms across the road (which features in Dickens’ Bleak House) was only demolished a few years ago.